A Year of Great Books | What Should We Read Next? It’s time to choose the final selection for Slate 's Year of Great Books. This time, Laura Miller and Academy members will be joined by John Dickerson, host of CBS’s Face the Nation and panelist on the Slate Political Gabfest. 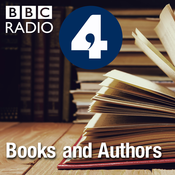 Hear John talk to Laura about what he manages to read during a presidential campaign, and why he’s eager to sink into a big, world-creating novel as soon as the election ends. Cast your vote . Slate books columnist Laura Miller and senior editor Laura Miller discuss . This podcast is part of a Year of Great Books, a members-only&nbsp; Slate Academy . To learn more, visit&nbsp; . 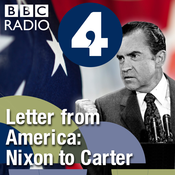 Lyt til Slate Academy: A Year of Great Books, Letter from America by Alistair Cooke: From Nixon to Carter (1969-1980) og mange andre stationer fra hele verden med app'en radio.dk.